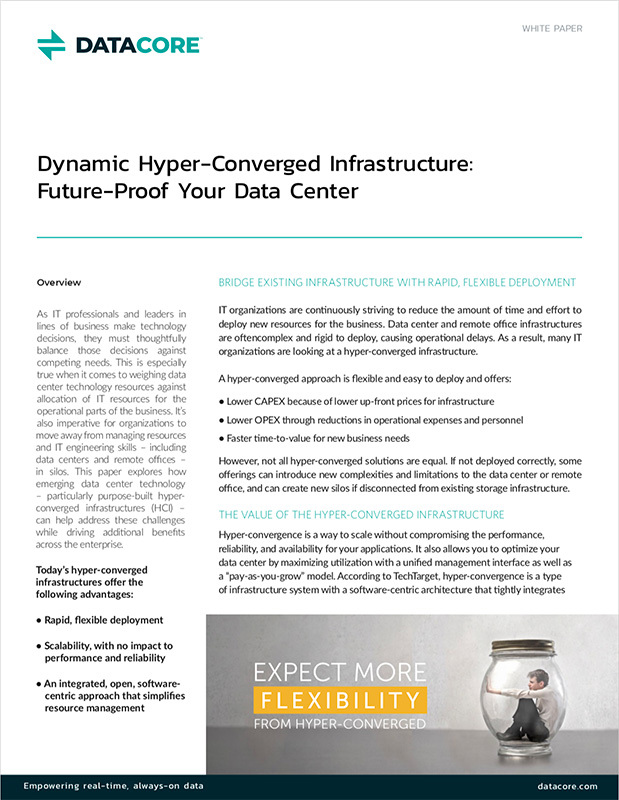 A simplified, more flexible, expandable data center is a big part of what hyperconverged infrastructure (HCI) promises. But not all HCI products are created equal. 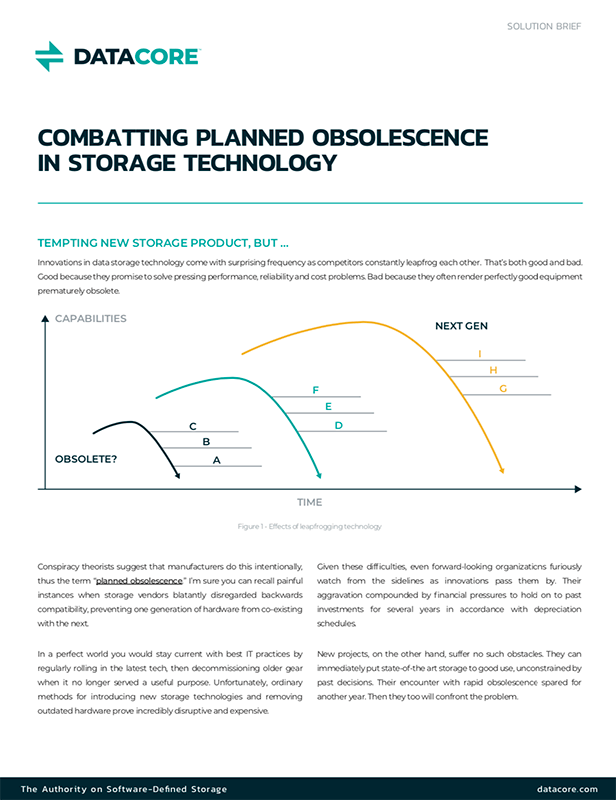 Some can create a new storage silo, requiring separate management from legacy infrastructure and limiting your ability to easily move data among storage tiers. 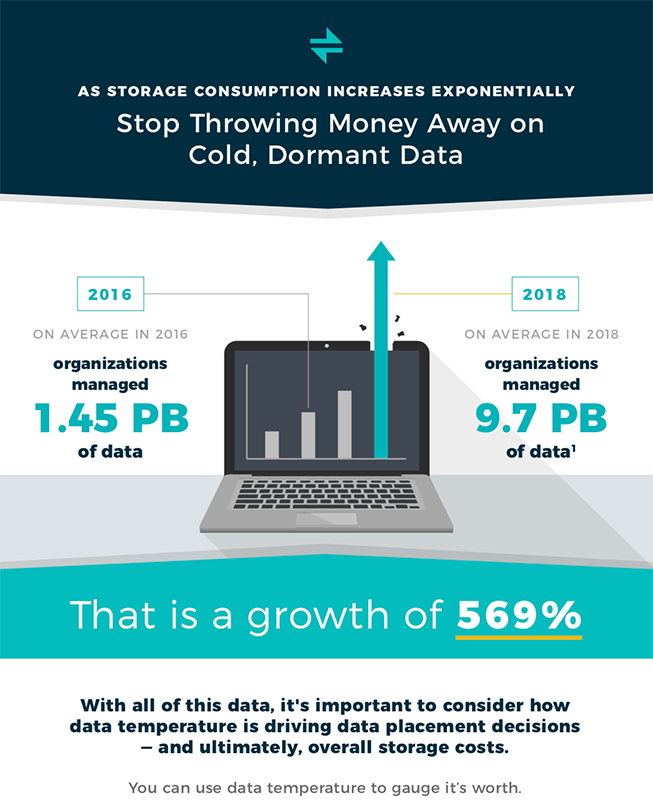 DataCore™ offers a better approach, freeing you from the constraints of first-generation HCI. At DataCore, we enable you to deploy a flexible, open hyperconverged infrastructure without compromise. Learn how you can reap the benefits. Read the white paper now.